Augustín Fernández Mallo’s debut “novel”, “Nocilla Dream”, consists of 113 brief chapters, a hybrid work of fragmentation, fiction, non-fiction, poetry and space. Most critics have referred to the work as narratively revolving around U.S. Route 50 in the Nevada desert, “the loneliest highway in North America”, however the canvas here is much broader than the activities occurring on “a highway in which, it ought to be stressed, there is precisely nothing. Nothing.” In fact there is something, a central motif, a poplar tree with “hundred of pairs of shoes hanging” from the branches. Shoes that are recycled (you replace your worn ones with ones found on the tree), or shoes that are discarded, the tree becoming a place of connectedness with ones you do not know. However, the tree of hanging shoes motif is only used, or encountered, by a handful of characters. The book populated with diverse characters from all over the globe. A complex web of events that somehow relate to each other, can scrunched up papers, rolling like tumbleweeds through the desert be collected and digested by another? Can an homage to Jorge Luis Borges, made by a man who had lost faith in his fiction, be truly understood by US residents? It is precisely these differentiators, displayed through Augustín Fernández Mallo’s disparate characters, who populate the whole globe, including micronations, that brings me to the question of connectedness. As a reader, the fragmentary nature of the work, being disconnected from any simple narrative linear approach, forces you to attempt to apply some order. Is there a connection between the Chinese surfers and Las Vegas prostitutes, or Mexican truck drivers hauling black beans, or designers of man hole covers and their relationship with a permanent resident of Singapore airport? There is a character who is obsessed with Jorge Luis Borges and the labyrinths of Borges’ fiction occasionally sprang to mind as I absorbed this book. Something more akin to a performance piece, or an evolving fiction that develops on the internet, the book is unsettling, at times incomprehensible, and at other times moving and engaging. Covering such a range of genres, styles I am sure there are many many different personal interpretations. Maybe that is the connection we have in our disconnection? “Nocilla Dream” (published by Fitzcarraldo Edition in November 2015) is the first book in a trilogy, the next two being “Nocilla Experience” (which was published in November 2016 by Fitzcarraldo Editions also) and “Nocilla Lab”. An experiment over three works, one that has engaged me enough in the initial piece to ensure I read at least the second. Although 113 apparently disconnected chapters, the vast majority deal with connection in some way, relationships, reliance, similarities, and it is through this landscape that balance in the chaos prevails. A fiction about a fiction! Author Julián Ríos, in an interview published on the Dalkey Archive website, when asked about his influences, spoke about James Joyce and “Ulysses”, he said; “I published a fiction-essay or kind of meta-novel on this masterpiece, Casa Ulises”, that work was translated by Nick Caistor, and published in 2010, appearing as “The House of Ulysses”. Our Cicerone in rigorous black with a purple polka-dot bow tie, long-legged and pallid, white streaks in chestnut hair smoother back with brilliantine, a blind man’s glasses, a straggly moustache. Like an ice-skater or Fredasteric dance he glided across the Museum’s wide black-and-white checkerboard floor. carrying (each one, one each) a volume of the monumental illustrated edition of Ulysses in three parts: a lanky gent with a white-flecked beard wearing prehistoric white overalls; to his left, the slender form of a dark-haired girl poured into a pair of white shorts, cropped hair and laughing black eyes (“Eyes full of night”) over the indigo “Ulysses Museum” T-shirt, fronted and back-sided by Joyce; to her left, a few paces away, wrapped in a grayish coat with bulging pockets, the tiny old man with white locks and crackling breath, sucking on an extinguished pipe. The mature reader (did she call him Ananias? ), the young female reader (Babel or Belle? ), and the old critic. Let’s call them A, B, and C, for short. And lurking in the background is a “beanpole unanimously baptized as the “man with the Macintosh” (a Macintosh computer, that is)”. These five characters, Cicerone, A, B, C and the man with the Macintosh are our prime debaters throughout this homage. As readers of Ulysses would recognise, within the introduction of the main players, all within the first three pages of this book, Julián Ríos is playing with references and characters from Joyce’s work. The book begins with the “Antechambers” of the Museum, where we step inside, and have a high level Homeric introduction. Once we enter the Museum itself we simply follow each of the eighteen chapters from Joyce’s work, named according to the Gilbert schema…’Telemachus’, ‘Nestor’, ‘Proteus’…etc. C (counting by tapping his pipe on his fingers): That makes six. I’m afraid there’s one missing for a dress rehearsal of Hamlet. C: “The shining seven,” according to a verse by Yeats quotes at the start of this chapter. B: Yes, it’s Bloom who is missing. He appears almost on tiptoe in the middle of this literary piece, then appears and disappears rapidly at the end of the chapter. At times, using Joycean styles, but at times reading like explanatory notes, and at other times a humorous satire of a satire, as the back cover says “a slapstick parody of the Joyce industry”, this is really a book for people who have read “Ulysses”. At times I felt like I was back in a University classroom, some of the theories being bandied around quite extreme, maybe relevant and maybe planned by Joyce, or maybe just wild theories dreamt up. Interestingly the development of A, B and C, as they each debate Ulysses, is one of the side features of the book, A the academic bantering with the similarly pedantic C, B bringing the voice of reason, or valid quotes from Joyce’s work to the table. Scant in name, rich in character and depth of knowledge of “Ulysses”, the anonymous characters portray the various ways you can approach Joyce’s book. Julián Ríos has shown an amazing depth of knowledge of James Joyce’s work (there are references to other books by Joyce), as well as a raft of other literary works, and to think English is not his first language!!! As a recent reader of “Ulysses” I thoroughly enjoyed the banter, the settings, the style and the theories, for people who are yet to read James Joyce’s book I’d think it would fall rather flat. In recent months I have come across a plethora of references to James Joyce’s novel, with comparisons to numerous world literature works, must be the circles I mix in on social media! As frequent visitors here would know, I have recently reviewed part of Oğuz Atay’s “Tutunamayanlar” (“The Disconnecte d”), referred to as the Turkish “Ulysses” and today I look at Luis Goytisolo’s “Antagony”, more precisely “Recounting: Book 1”. Here’s a few snippets of other reviewer’s thoughts, one taken from the publisher’s foreign rights page, the other from a site I visit often to explore world literature. Besides being an ambitious and complex book, difficult to read due to the protoplasmic configuration of the narrative matter, it is also an experiment intended to renew the content and the form of the traditional novel, following the example of those paradigms which revolutionalised the genre of the novel or at least tried to do so — above all Proust and Joyce, but, also James, Broch and Pavese –, without renouncing a certain moral and civic commitment to historical reality which, although very diluted, is always present, sometimes on the front stage, sometimes as the novel’s backdrop. Structurally this book does have a Proustian bent, following the life of Raúl Ferrer Gamide, a middle class Catalan, from childhood through army service, law studies, romantic interludes but more importantly his desire to be a writer. All against the political backdrop of Barcelona. I won’t be putting any spoilers in my thoughts here, rest assured if you decide to tackle this massive book I’ll allow you to discover the narrative yourself. However, it is not the plot that is the main attraction here, it is the novel’s structure, grand sweeping exploration of Catalan society after the Spanish Civil War and the political luminosity that drags you along, through 648 pages. A difficult book to read, we have ten page paragraphs, generally consisting of a single sentence, dialogue that forms part of the main text, so it is a challenge to understand who is speaking, a cast of hundreds, all with nicknames, some with code names and then broad philosophical debates, including political manifestos. For example there are three page explanations as to why a door was locked at 3pm precisely, another three pages observing the eating of a ham sandwich, but it is the microscopic examination of Barcelona and the middle class that brings the richness to this novel. Each of the players circle in and out of focus, and as we move through Raúl’s maturation from childhood to schooling, to army service, to his involvement with the socialist/communist party, his distribution of clandestine pamphlets, his legal work and dreams of being a writer, we learn more and more about Catalan society. Classic references to things such as the “caganer”, the defecating figurine in Catalan nativity scenes, blend with discussions on Catalan poetry, literature, its demise and subsequent rise, and further discussions on Spanish speaking Catalonians, this is a detailed expose of cultural life. And to the right, the Portico of Faith, enraptured altarpiece centred on the presentation of Jesus in the temple, with an outline of images now solemn and impassive, now violent, like the one of John the Baptist preaching in the desert, foretelling the coming of the Messiah, all that upon an embroidered background of wretchedness and suffering, of an interwoven framework of thorns and flowers, buds, corollas, thalamus, sepals, petals. Stigmata, honeybees drawn to pollen, and superimposed on the bramble-crag crenellations, the lantern, a three-peaked oil lamp, eternal triangle, base of Immaculate Conception, dogmatic effigy rising in ecstasy, like an ejaculatory prayer from within a large cascade of sprigs and grape clusters, all those details one can spot carefully from any one of the points of the belfry towers, as you climb the airy spiral staircases, from the doorways, from the enclosed balconies sinuously integrated on the projections of architraves and cornices of the frontispiece, balconies with bulbous wrought iron railings, small contoured galleries, catwalks, small steps, intestinal cavities, twisted corridors of irregular relief, passages conjoined in a coming and going from the belfries to the façade, four intercommunicating bell towers, harmonically erect. Which, if near their bases appear rather strangely compounded with the parameters of the porticoes, as the separate, each acquiring its own shape, they becomes curving parabolic cones, the two outer pairs equal in height, the two center towers taller. The more you read of this complex work, the more you realise it is an homage to Barcelona. Suddenly an obscure etching has made itself into my sphere, and now my consciousness. …we have a good example of that in Manolo Maragas, with his remembrances and reflections, with the magnified profiles of his memory, when he talks about Alicia and Sunche, when he talks about Magdalena’s grandmother as if she were the Duchess of Guermantes and as if Grandpa Augusto were the duke, and Doña America were Madame Verduin, and that crazy Tito Coll a sort of Charlus, while he, Manolo Moragas, the narrative I, an apathetic Marcel, too sceptical to take the trouble to write anything, the only reason for him not already having withdrawn into his cork-lined cell, becomes a chronicler of Barcelonan society, the literary transcription of whose avatars, for any reader not directly implicated in that world, would awaken the same interest, probably, as the prose of one of those stylists in the Sunday edition of a provincial newspaper who’ve achieved a certain notoriety by the agreeable character of the collaborations, stylists who philosophize like a sheep chewing its cud before the ruins of the Parthenon, not in service of the validity of the ideas developed, but rather, to please his readers’ palates, of the originality of the focus and the graceful exposition, as well as this stylist’s prose, the interest of the specific problems of that world, of the characters capable of inhabiting it, grazing and watering among the ruins of the culture, with the grace and subtlety and elegance of a bull’s head that, like Narcissus, gazes at itself in a puddle. In a few lines, the depth of characters take on a new meaning, readers of Proust suddenly having another layer to the already complex players. But we are not restricted to Proust, the is a whole section questioning scholars and them not giving enough time to Dante’s Canto 34 in Inferno. Through drunken debates, scholarly discussions, a whole playing field of the author’s views can be spread on this massive canvas. A massively complex but thoroughly engaging work, unfortunately we have to wait until August 2018 for Book II to be released in English, and by that time it may mean a re-reading of “Recounting” is required, a novel that would reveal so much more upon every re-read, and so little time!!! I am sure there are many many more books that fall into the “Ulysses” category, hopefully I get to discover their riches over the coming years. Every time I read and review a book that has been around for a number of years, I am confronted with a dilemma, is my view adding anything worthwhile to the plethora of other reviews that happen to be in the public domain? Will my views sway anybody into a purchase or an avoidance? Am I just posting here to say “I read this book too”? I personally own all of Bolaño’s novels, short story collections and poetry collections, so why I decided to pick up “amulet” is now a blur. I have some vague recollection of glancing at Wikipedia and thinking it was an early work so I’d start with it. Having a look at Wikipedia now I notice it makes no mention of “Monsieur Pain” on the main Bolaño page, so a bit of work needs to be done on that page. “amulet” is not an early work, it was published soon after “The Savage Detectives” and contains a number of links to that work (more on them later). By day I busied myself at the university; by night I led a bohemian life, and slept, and gradually scattered my few belongings, leaving them in the houses and apartments of friends: my clothes, my books, my magazines, my photos. I, Remedios Varo, I, Leonora Carrington, I, Eunice Odio, I, Lilian Serpas (ah, poor Lilian Serpas, I still have to tell you about her). And my friends, of course, would eventually get tired of me and ask me to leave. I would try and make light of it and leave. I would hang my head and leave. I would give them a kiss on the cheek and say thanks and leave. Auxilio Lacouture is locked in the bathroom of the university in 1968 whilst it is raided by the military and the police, an historical moment in Mexican history, known as “Mexico 68” and leading up to the Olympic Games in Mexico City, brought on by ideological and political clashes. The narration takes place from the bathroom as Auxillo talks of the past, the future and a little of the present. Then we walked down the Avenida Guerrero; they weren’t stepping so lightly any more, and I wasn’t feeling too enthusiastic either. Guerro, at that time of the night, is more like a cemetery than an avenue, not a cemetery in 1974 or in 1968, or in 1975, but a cemetery in the year 2666, a forgotten cemetery under the eyelid of a corpse or an unborn child, bathed in the dispassionate fluids of an eye that tried so hard to forget one particular thing that it ended up forgetting everything else. After a long drunken night, Ernesto and Arturo “why still hadn’t turned twenty-one” travel “down that turbulent river that was and is the Avenida Guerro”, crossing the metaphorical River Styx into hell, “into the kingdom of the King of the Rent Boys”, where Arturo is going to negotiate the release of Ernesto’s “body and soul”. Another interesting reference is, of course, (apparently Bolaño’s only reference) to 2666. As Auxilio, locked in the bathroom, moves from time and place to time and place it is as though a dreamlike fog has descended upon her tale. Surrealist painters emerge, obscure poets, mothers of painters, promiscuous characters move in and out of the spotlight. The references to real characters are vast, unfortunately not a lot of their work is available in English. To complete the surrealist picture, Auxilio is taken on an operating table to attend the birth of History. A reference to the permanent social change that occurred as a result of the student sacrifice and protest. Another interesting work from one of my favourite writers, the references coming thick and fast, giving me reading lists to keep me going well beyond the grave, the mythological links, and the links to other works of his own, all part of the melting pot that is Roberto Bolaño. 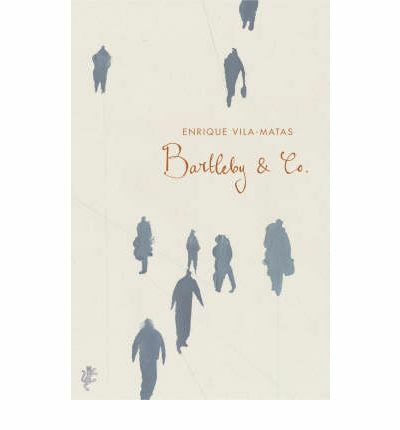 As regular readers of this blog, and especially my followers on Twitter, would know, I have an obsession with Enrique Vila-Matas, so when his latest book was released I was all ready to attack a newly translated work of his. This work was released in 1985 in Spanish so it has taken a long time to be translated into English. Unfortunately the book turned up at the start of August, which is Women In Translation Month, so my obsession had to wait another month, then in September other more pressing books made it to the top of the “to be read” pile, so it was with great joy that I picked this slim work up on the weekend and settled down to another dose of the enigmatic Vila-Matas. This work was written fifteen years before Bartleby & Co, however it was translated into English and released eleven years after that work. And the similarities are numerous, whilst “Bartleby & Co.” explored the “literature of the No”, this work looks at “portable literature”. Yes this is a book that explored the history of a non-existent literature. Another of Enrique Vila-Matas’ red herrings. Our book shows an utter disdain for what is considered important, even portable literature’s history isn’t. As per a number of Vila-Matas’ other works, this one contains mysteries, are we reading his book? Or are we reading an imaginary book written by somebody else? This is supposedly taken from a postcard written by Aleister Crowley, the famed occultists, novelist, ceremonial magician, poet, painter and mountaineer. However it reads as though it is a precursor to the work we are actually reading, which is a set of “sketches of the Shandies customs and life”. As per a number of other books by Vila-Matas, there are innumerable references to other writers, other books, even F. Scott Fitgerald makes an appearance, with a story containing drugs that leads to the creation of an insignificant quote from “The Great Gatsby”. Salvador Dali, Jorge Luis Borges, Laurence Sterne, Paul Klee and a plethora of others appear. Yet another work that can lead you down many a rabbit burrow. We have the recurrence of the number twenty-seven and other McGuffins (see my review of “The Illogic Of Kassel” to understand what that means). This book reads like an early work, the ideas and concepts are all there, the whole just seems to be missing, whereas “Bartleby & Co.” explored “literature of the No” through footnotes on an imagined text, the narrative style of this book is a little broken at times and seems out of place. The tricks that Vila-Matas performs are all here, Shandies, misleading plot lines, footnotes, but at times it felt a little rambling, with no core. However as a work that is exploring the insignificant, it is possibly perfect in doing so, given it is actually an insignificant work. Similar to Milan Kundera’s latest work “The Festival of Insignificance” this book also explores the minute, the not required, the insignificant. Personally I feel this one explores such in a better manner, but then of course I would, an unabashed Enrique Vila-Matas fan. So much so that I may have a few lazy $$$ as a bet on him to pick up this year’s Nobel Prize in Literature at the 60/1 – award is going to be announced this Thursday!!! It is 1999 and our first person narrator is writing a book of footnotes commenting on an invisible text. Yes the world of Enrique Vila-Matas can be a strange world to enter. Literature, as much as we delight in denying it, allows us to recall from oblivion all that which the contemporary eye, more immoral every day, endeavours to pass over with absolute indifference. Bartleby’s are “beings inhabited by a profound denial of the world”, named after a clerk in the story “Bartleby the Scrivener: A Story Of Wall-street”” by Herman Melville. Our story is an exploration for and the noting of writers who have given up their craft, they are Bartleby’s, they constitute the “literature of the No”. With a plethora of writers referenced, quotes for innumerable books, the search from Walser to Tolstoy via Beckett and Salinger (throw in another few hundred names and you’d not even touch the tip of the iceberg), you know that our author is a very well read man. A work that by searching for the deconstruction of literature is actually contributing to it, as per a number of Vila-Matas works, the conundrum is always there. What I most admire about him is that he was a first-rate trickster. 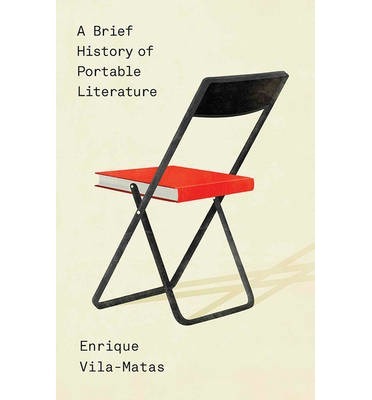 It may be a quote from this book, but it captures what I also admire about Vila-Matas, the tricks, the way that he makes you, the reader, complicit in his ramblings, the literal involvement that you have whilst reading makes his books not just a novel, not just fiction, but more a work of art. The questioning of what labyrinth you are now trapped in is palpable. With this novel I had some misguided belief that taking notes of the various writers mentioned would allow me to see into the crystal ball, after 15 pages I gave up, I was distracting myself having to stop every paragraph and take notes, I’ve committed to a re-read with a notebook, plenty of ink and silence erequired. To comment on this work using a linear narrative description is just about impossible, I could speak of our scribbler and his search for nothing, his journeys, his seclusion but it wouldn’t amount to a lot and would give you zero understanding of the book. Our hunchback writer, Marcelo, has suffered writer’s block for the last twenty-five years, since having his story on the impossibility of love being published. Marcelo takes extended leave from his employment at a publishing house to commence his book of footnotes on the “labyrinth of the No”. These footnotes cannot have an essence, neither can literature, because the essence of any text consists precisely in evading any essential classification, any assertion that establishes or claims it. Where do I go after that?